the baby went out with the? 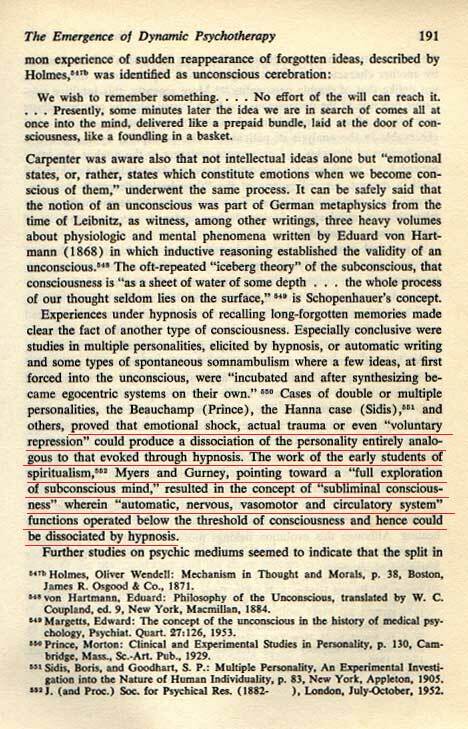 Was it the persistence of the "double consciousness" that became the core of the rejection that psychology gained for treatment administered in a somnambulistic state? 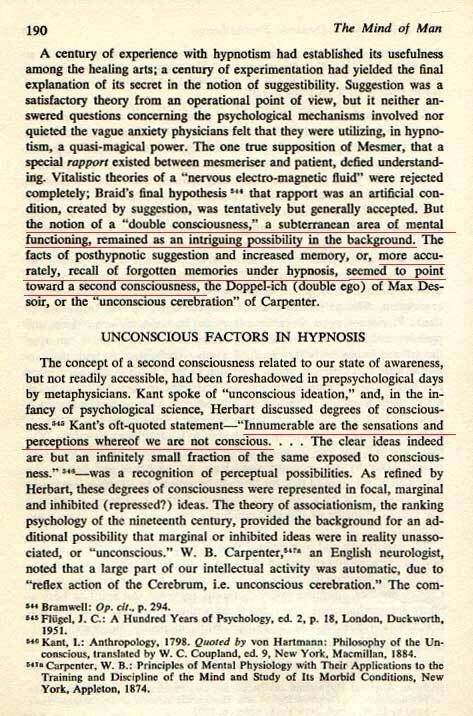 "Innumerable" sounds similar to "infinite"
The last few sentences are still true but the research into the subconscious has all but ceased. There are some artificial mental state simulators/stimulators being tested at Larentian University by Michael Persinger that have a considerable potential.